At COFFEED we believe it is important to do well to do good! All locations donate a portion of their gross revenue to charitable partners based in the same communities as their sites. Through in-kind donations, COFFEED also supports various organizations, events, fundraisers, workshops, and speaker series that foster social innovation, social entrepreneurship and support communities focused on making positive change. COFFEED currently operates 10 locations that feature menu items made from fresh, locally-sourced ingredients and single-origin coffees from around the world. COFFEED’s Landing locations offer sit-down service, additional menu options, and an extensive selection of wine and craft beer. COFFEED is thrilled to be partnering with the Queens Museum inside beautiful Flushing Meadows Corona Park. As our founder Frank “Turtle” Raffaele stated “To grow up in Queens and now be able to service and reflect the wonderful diversity of the borough is a true blessing for COFFEED. We look forward to bringing some delicious food and beverages to the museum and are humbled to be able to give a portion of our sales to the Flushing Meadows Corona Park Alliance. 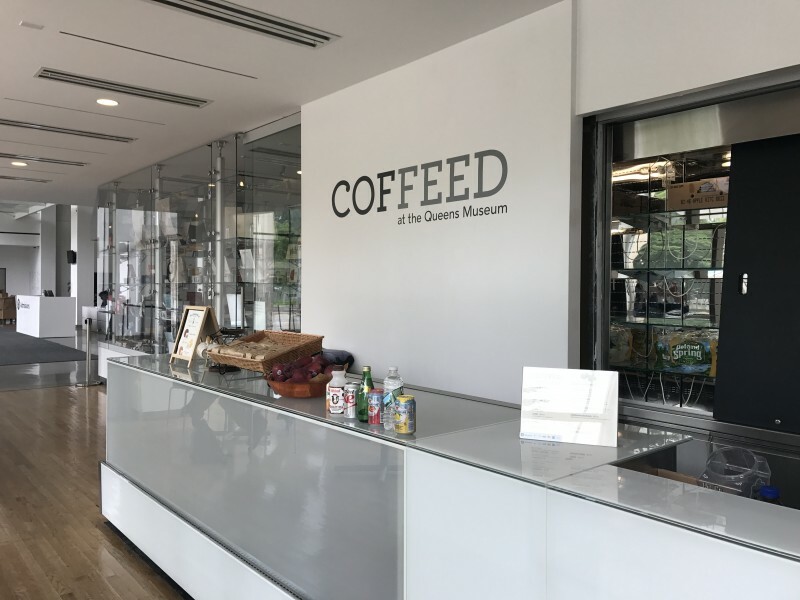 COFFEED is open at the Museum on weekends from 11 am – 5 pm.